These creamy white irregular pearls are hand knotted and finished with silver bead caps. Their large size, 10-11 mm, make for a charming statement on your wrist. 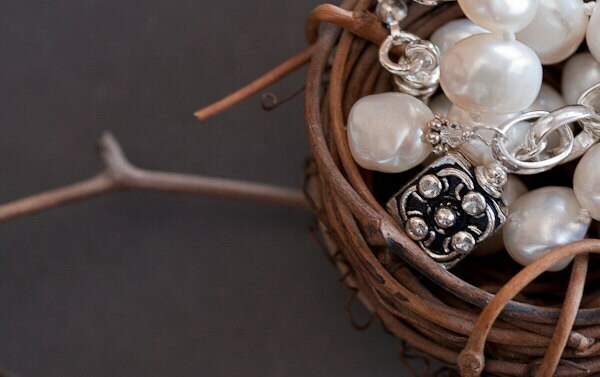 We love how "not perfect" they are because they show that they are absolutely real freshwater pearls and don't look too formal or traditional. 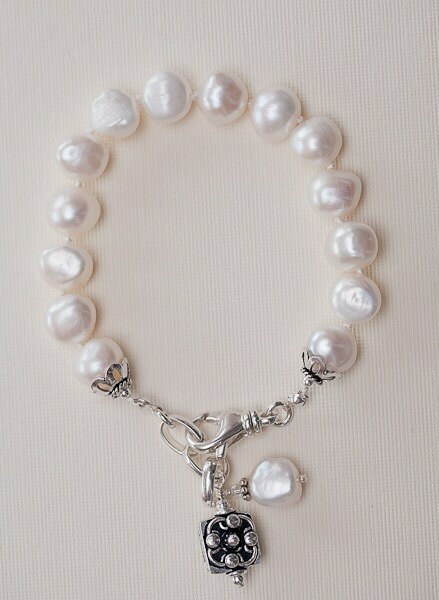 The oversize lobster clasp gives beauty to the design while also helps make it easy to put on and off. Plus, this bracelet is adjustable with the large sterling links at the end. 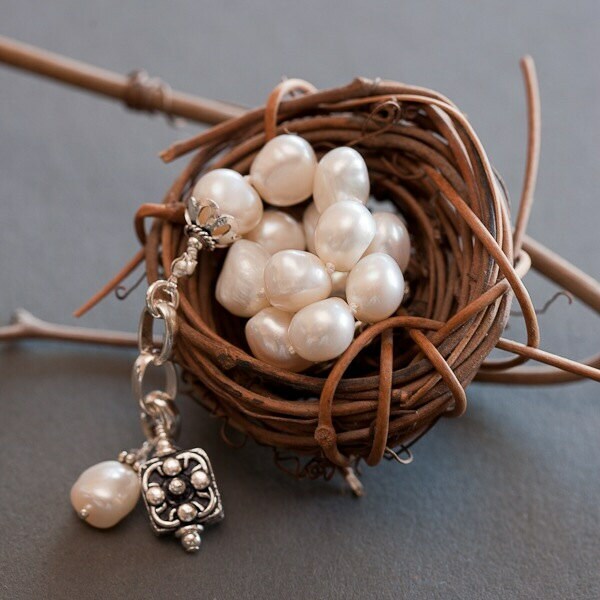 2 charms dangle down at the end to make your bracelet a one of a kind.